Contract extension fever has hit the Boston Red Sox. After Alex Speier of the Boston Globe reported that the Red Sox and Chris Sale were close to agreeing on a long-term contract extension, Ken Rosenthal of The Athletic tweeted that the deal was done. It’s worth $145 million over five years. The Red Sox made the extension official on Saturday. MLB Network's Jon Heyman has the complete breakdown of the extension, which includes an opt-out following the 2022 season. Sale is one of the most feared pitchers in baseball. The left-hander has played for nine years an has a career ERA of 2.89. He’s never finished a season with an ERA higher than 3.45, typically walks less than two batters per game, and strikes out hitters seemingly at will. He struck out an average of 13.5 batters per nine innings in 2018, and has an unreal career average of 10.9. Sale, 29, came to the Red Sox after the 2016 season in a trade with the Chicago White Sox that included several top prospects. It was a gamble for Boston to part with so many potential future stars — especially for a player with only three years left on his current contract — but the goal was for Sale’s established dominance on the mound to help the team make it to the playoffs and win. In just two years in a Red Sox uniform, he’s already accomplished that. Sale’s final act of the 2018 season was striking out the side in the bottom of the ninth against the Los Angeles Dodgers in Game 5 of the World Series. The final out won Boston the title, and Sale was mobbed on the mound. Somehow Sale has never won a Cy Young award. He’s finished in the top 10 in American League voting for seven straight seasons, and has finished in the top five for six straight seasons. He’s also received MVP votes for the past four seasons. The Red Sox don’t seem to mind the lack of Cy Young awards. They’re showing a lot of belief in Sale, who spent time on the injured list last season with shoulder tendinitis. 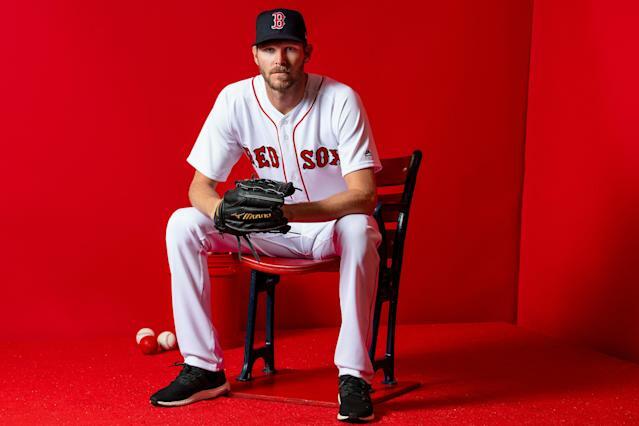 The reported contract extension will keep Sale in Boston through his age-34 season.